ShuYun obtained her Diploma in Education (中专师范文凭) from MinQing Institute Of Education in Fujian Province, Fuzhou (福建省福州市闽清县坂东师范培训学校). Upon graduation, she was engaged as a Primary School teacher by local district (闽清县白樟学区). 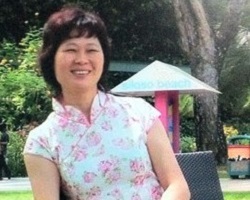 For 8 years she taught in several Primary schools within the district, specializing in Chinese language teaching. By the third year she was a recognized outstanding Chinese teacher and her class consistently topped the district in Semester Assessments. ShuYun’s passion for teaching continues even after her relocation to Singapore. With strong encouragements from friends, she started as an assistant tutor to a friend giving small group Chinese tuition. She was able to settle in quickly and her student base grows steadily through referrals and enquiries. Within few months she became an independent professional tutor. Within a short period of time her students were making good progress. 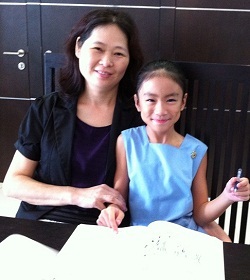 Her aim is to achieve in Singapore the same previous height – an outstanding Chinese tutor. ShuYun adapts her teaching style whenever necessary to suit local learners. She takes every assignment seriously and benchmarks her performance with her tutor friends. She gathers feedback regularly from students, parents and peers to ensure that her students are making quality progress towards academic excellence. She takes every opportunity to learn about Singapore education and look out for training opportunities to improve her teaching skills. ShuYun believes that a good teacher is a humble learner and is constantly mindful that “The fear of the LORD is the beginning of knowledge”.